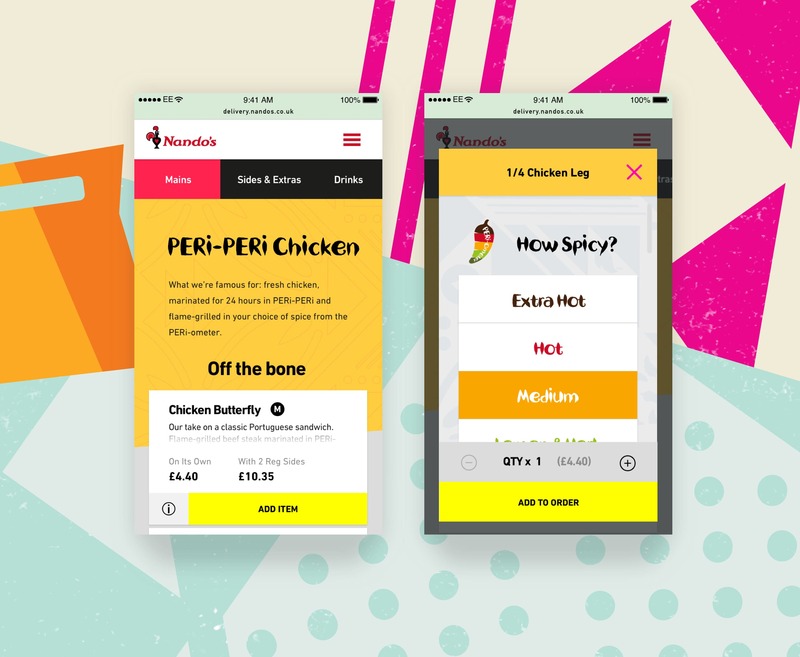 The Nando’s brief was very focused - launch an MVP that would allow Nando’s to take control of the customer experience for delivery of their products. My role was to come in at the later stages of the design sprints, helping the team with further iterations of design components, alongside a focus on producing micro interactions. 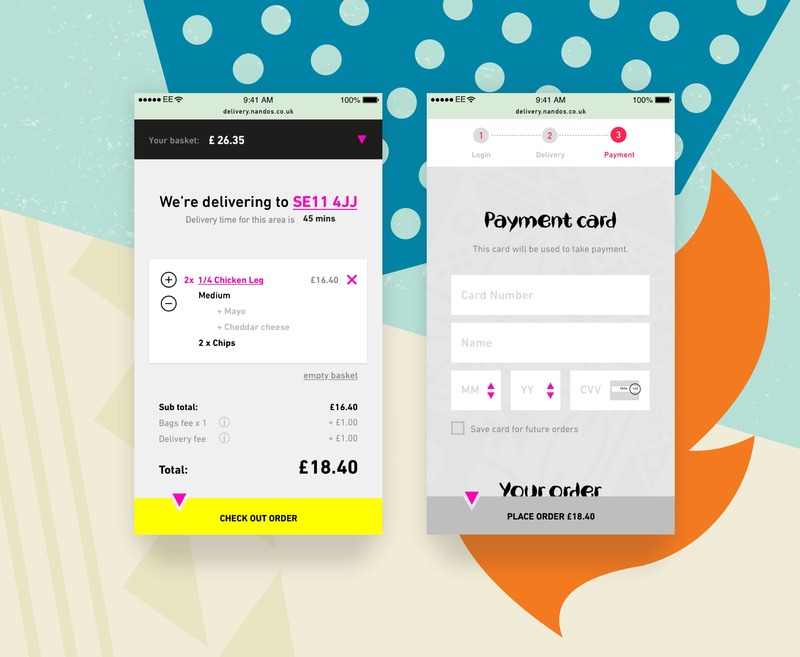 A product that can compete in a world where delivery aggregators such as Deliveroo and Uber Eats are increasingly aiming to own and promote their own brand experience. 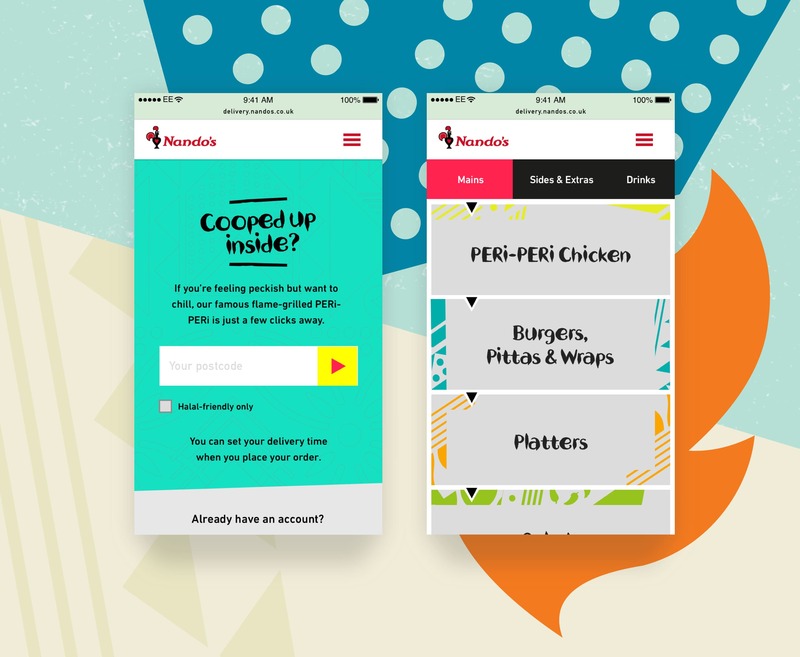 For a Nando's experience to really flourish, the designs had to adapt across device. 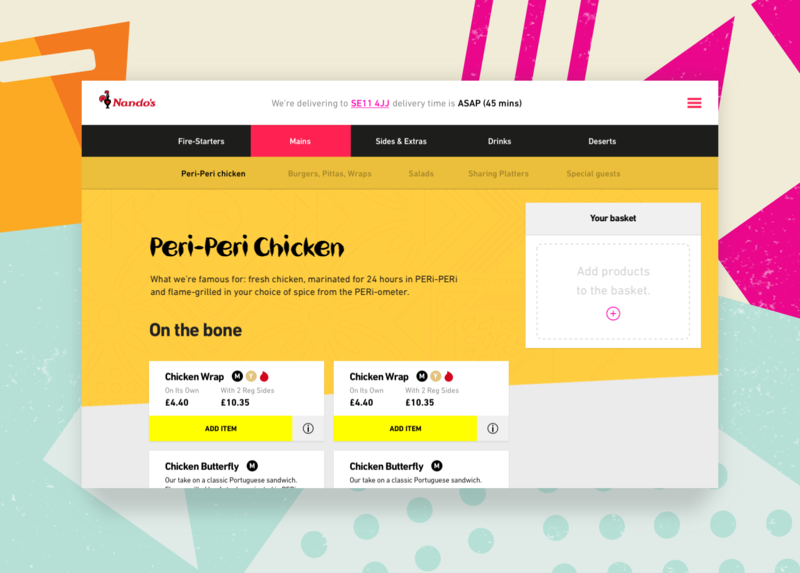 Working alongside front-end to create an MVP where differences are minimally disruptive.